Pastor Steel became our pastor August 2012. He and his wife Jenny came to us from Twin Oaks Presbyterian Church near St Louis, Mo where he was the Senior Pastor for seven years and after a six month interim pastorate at Covenant Reformed Church in Pella Iowa. He is a graduate of the University of Florida and Reformed Theological Seminary, Jackson, Mississippi. 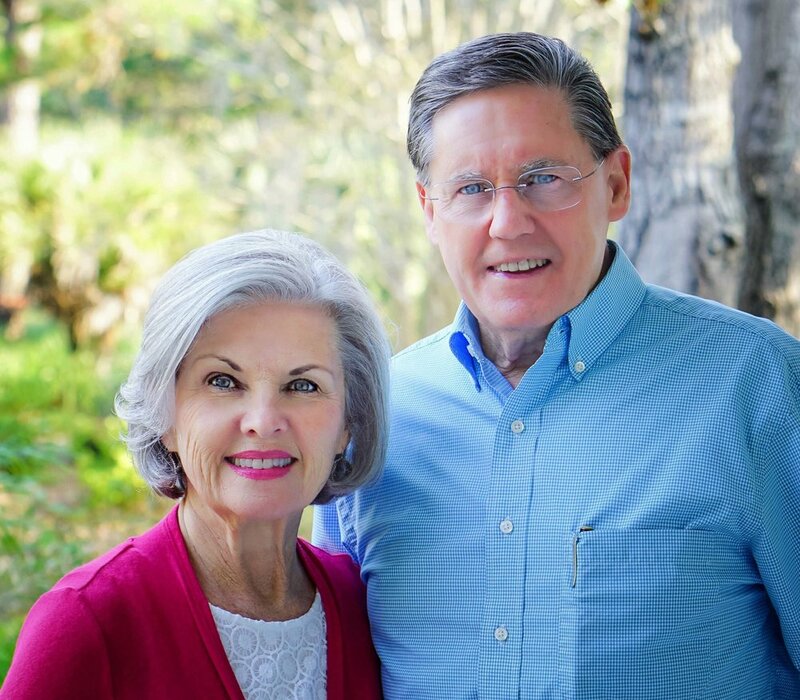 Bill and Janet Harritt come to Eastbridge after five years of service in Durham, North Carolina. Bill served as the Pastor of Youth and Janet was the Nursery Director. They have 2 children Janet and William. Bill is a native South Carolinian from Sumter and Janet is from Memphis, Tennessee. Bill graduated from USC and Janet from Depauw University in Indiana. Bill has spent several years in various states (CO, VA, AL) serving churches. He graduated from Covenant Seminary in St. Louis in 2012. The Harritt’s are excited to help and serve the ministries of Eastbridge with their gifts. Their hope is to see children and students grow into lifelong followers of Christ and be partners in the gospel with the parents and members of Eastbridge. Ruling Elders are the men from among the Congregation who lead our church and who serve as spiritual overseers, or shepherds of the "flock". We call this ministry of the Gospel, in Word. Deacons also lead, while their focus is the care of the physical needs of the Congregation and the church building. We call this the ministry of the Gospel, in Deed. We believe that salvation is by God alone as He sovereignly chooses those He will save. We believe His choice is based on His grace, not on any human individual merit. We believe that Jesus Christ is the eternal Son of God, who, through His perfect life and sacrificial death, atoned for the sins of all who will trust in Him, alone, for salvation. We believe that God is gracious and faithful to His people, not simply as individuals, but as families in successive generations according to His Covenant promises. Eastbridge Presbyterian Church is a congregation of the Presbyterian Church in America (PCA). The PCA has a strong commitment to evangelism, missionary work at home and abroad, and to Christian education. From its inception, the church has determined its purpose to be "faithful to the Scriptures, true to the reformed faith and obedient to the Great Commission." The church was formed in 1973 and is made up of thousands of churches that are theologically conservative and diverse in their expression. We serve a great and merciful God who bridged the great gulf that separated us from him. He is also breaking down walls that alienate us from one another. As the bridges of Charleston link the various islands and peninsulas of our beautiful low country making us one community in our geography – we have been called to build spiritual and personal bridges of understanding and relationship with each other within our church and with others throughout our region and indeed the world. We are EastBRIDGE. We exist to build connectedness and heal brokenness. As we do so, our Triune God becomes better known and honored. HIS bridge building passions were supremely demonstrated in sending his Son, our Savior, to cross the great divide between us and him created by our sin. Therefore, in reliance upon his Holy Spirit, may our God, who unites us to himself, and to one another, be glorified by establishing these sturdy, durable connections we call, “Gospel bridges”, to each other. Our increasingly lonely, relationally desolate and dysfunctional world desperately needs to know and worship our blessed God. He pours his love and grace THROUGH us because he has gotten it TO us. So, come and join the community of bridge builders, and do your part in rolling back the estrangement that Christ is banishing and will one day completely banish from the earth.